Looking for some income producing ground where you can get away from town/city life & build, farm, raise some animals, play, fish, hunt, or just enjoy nature a little more than you're doing now? This is a great piece of property that offers it all! Stocked 5+ acre lake built in 2013 attracts wildlife - you'll see a lot of deer, geese, turkeys, squirrels & rabbits, different species of birds. A creek runs along the south side of the property. 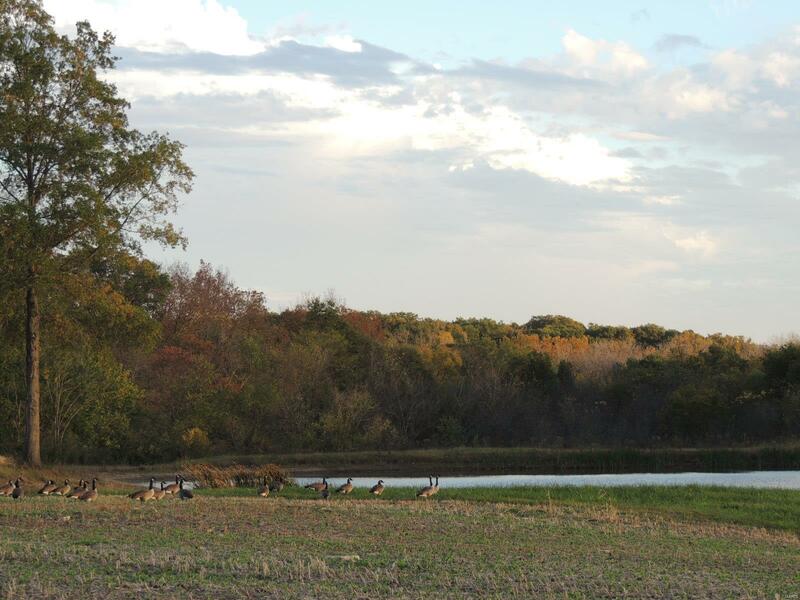 There's an area for a food plot. Tenant farmer is willing to continue farming or let you handle it yourself. This place offers plenty of space for recreation...ATVs, horses, dirtbikes...whatever you like. There are several nice sites to build. Rural water is available to tap onto, Southwestern Electric is available, taxes in Fayette Co are reasonable. It's easily accessible less than a quarter mile from Hwy 128, Approx. 10 mi to I-70; 20 mi to I-57; 100 miles E of St. Louis; 225 miles S of Chicago! *CALL TODAY to take a look & Enjoy the Air!